Vegan Birthday Treat in the D! 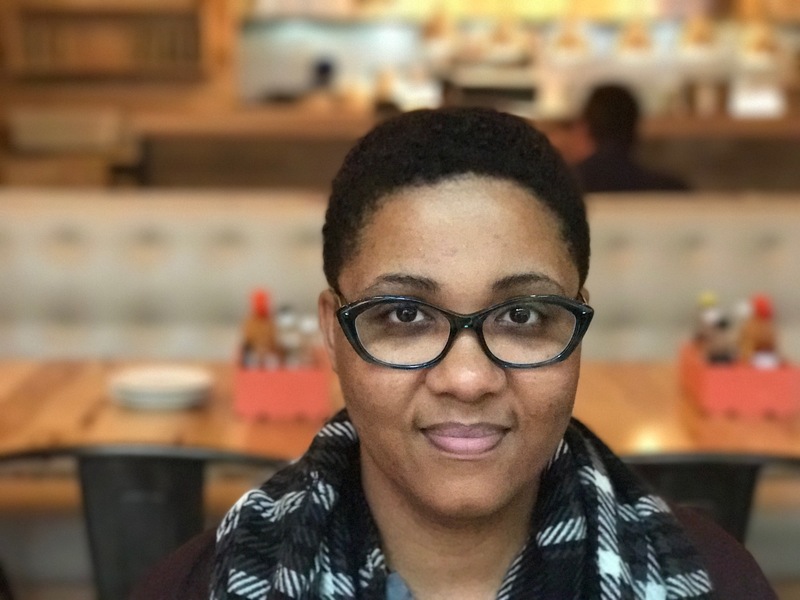 This past holiday….heeeem Heeeem…..my BIRTHDAY, my husband and children gave me a treat, and took me on a special day to downtown Detroit. Now, I know what you are thinking, “Detroit is a treat!?!”. However, the images that most people have of the Detroit area are not all that there is. Actually, the downtown Detroit area has been revitalized and is continuously being renewed! I would encourage everyone to check out it, before counting it out. When arriving, my first trip was to a day Spa, right near the center of town, where I was treated like a Queen for the afternoon. It was one of those moments when you really wanted to stay there, and tell them to leave you for the rest of your life…but that wasn’t gonna happen, so off I went to enjoy some of the nice food in downtown Detroit. After a nice lunch, we walked over to a bakery that we had heard about, the AVALON Cafe & Bakery. Waking into the door, we were slapped in the face with all kinds of smells of goodness. However, our reason for visiting this beautiful bakery was the VEGAN treats we heared about. Finding good vegan baked goods has become more and more popular, but not all are created equal, if you know what I’m saying! I was excited to try out what they had and this would determine if I will be returning for more. I purchased a pretty large blonde brownie, and shared it with the team. Although, with the kiddies around, it turned out that they got most of it, lol. That was ok though, I was still pretty mellow from the SPA day, so they could have asked me for $100 and I probably would have, in a dazed fog, given it to them, lol. The brownie was actually pretty good and well worth the price, as the size was quite big. 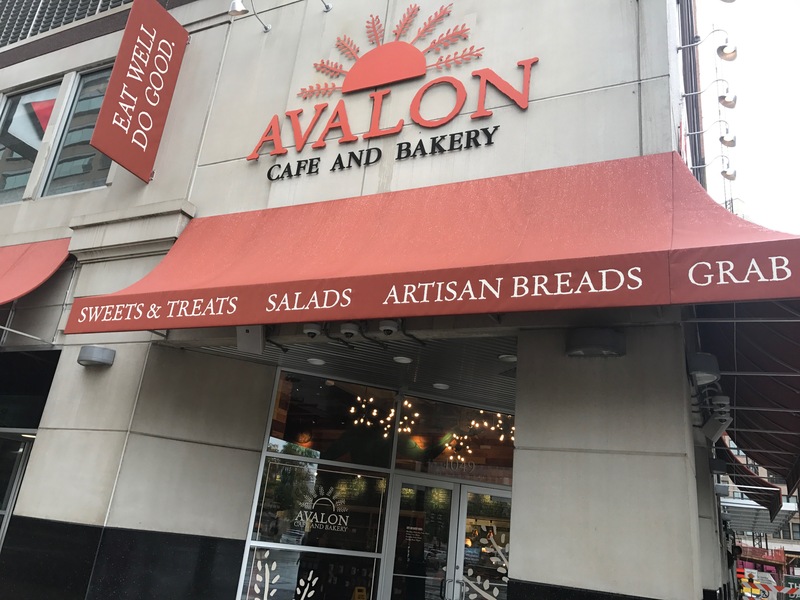 I would encourage anyone who is in the Detroit downtown area, who is looking for a place to have a vegan treat, try out the AVALON bakery. 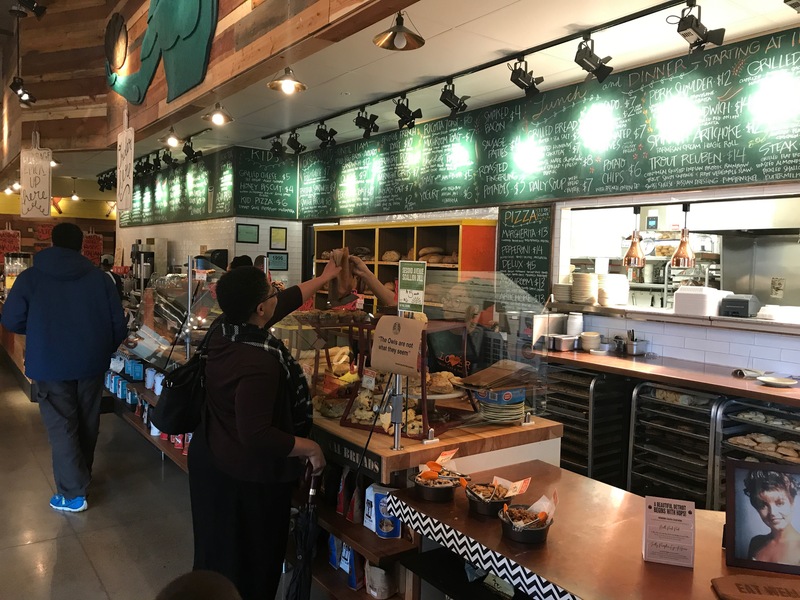 They not only have baked goods, but also other lunch and supper options as well.